Click here to build your own system. Due to the complexity of integration, this product is sold as completely assembled systems only (including but not limited to CPUs, memory, and HDDs). 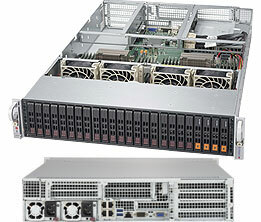 Note * Please contact Supermicro Technical Support for additional information about frequency optimized CPUs and specialized system optimization. Monitors for CPU Cores, +1.8V, +3.3V, +5V, +12V, +3.3V Standby, +5V Standby, VBAT, Memory Voltages. This product is special order, which takes longer to process and cannot be returned. Designated trademarks and brands are the property of their respective owners. Any concern or issues please contact sales@8anet.com.